Apart from the fact that it's not running as a plugin within a DAW, the iPad version of WOW is even better than its desktop counterpart. iPad musos, this is a must! Complete port - even has extra features. Sonically identical to desktop counterpart. Audiobus support. Price. WOW2 (or WOW Filterbox to US readers) is Sugar Bytes' third Mac/PC-to-iPad- app crossover, and following in the footsteps of Thesys and Turnado before it, it's a feature-complete port of their fantastic filter plugin (read our Sugar Bytes WOW2 desktop review). 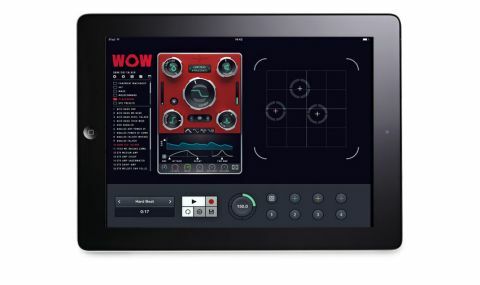 "The iPad edition even adds to the featureset with a trio of X/Y performance controllers"
So, you get the full 21 filter types, all seven distortion algorithms, the dual vowel filter and that superb modulation system, including the endlessly entertaining wobble generator. In fact, it even adds to the featureset with a trio of X/Y performance controllers, each assigned to a separate pair of parameters. Sonically, it appears to be 1:1 identical, with all the bite, versatility and character of the original. An audio player is built in, too, but with Audiobus support, that's really just for demo purposes.